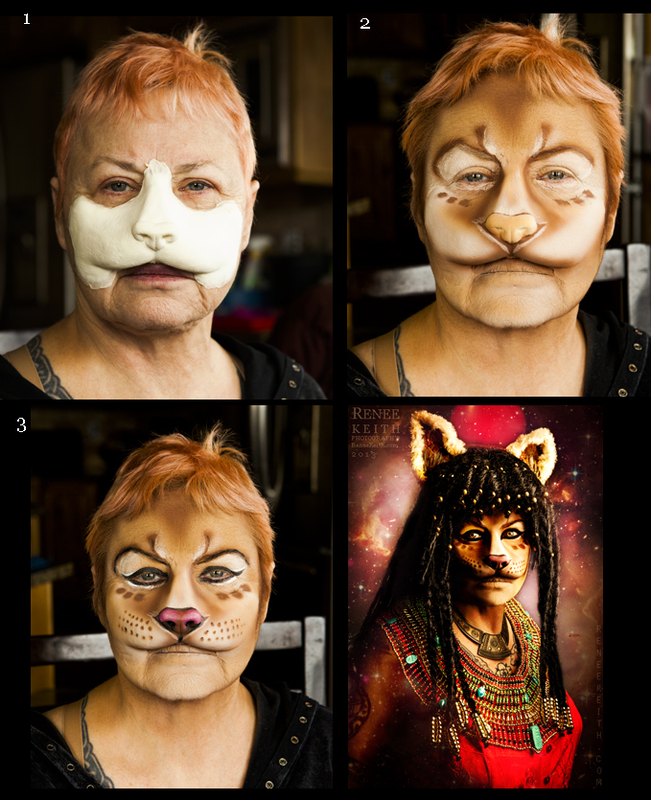 Rita came to me with the idea of transforming herself into the Egyptian goddess Sekhmet earlier this year, and of course I was super excited about the character and creativity! She created her costume bringing several pieces together including a Egyptian necklace, costume wig, lioness ears by a local crafter, and a partial prosthetic lioness face. Here is a photo of the prosthetic and makeup process (image to left).